Cleft palates can dramatically impact a person’s quality of life — how they eat, drink, and speak. Find solutions with the Alaska Center For Oral + Facial Surgery. In part one, we addressed what a cleft palate is and introduced the different structures that affect a cleft palate. Further examine the structures and classifications of cleft palate and learn about the surgery in today’s post. At the Alaska Center For Oral + Facial Surgery, we have oral surgeons who specialize in cleft palate surgery and have dedicated their careers to providing a better quality of life to those who have it. Get leading patient outcomes and quality, empathetic care with us. In addition to the hard and soft palates, there are a couple more structures that better classify how cleft palate is identified and treated. The uvula is the structure that hangs down from the soft palate — it varies in size and can be very large or, in some cases, completely absent. The primary palate is the portion of the palate that sits right in front of your two front teeth (incisive foramen) and includes the front part of the hard palate and is triangular in shape. The secondary palate is the back portion of the hard palate (behind the incisive foramen) and includes the soft palate and uvula. Oral surgeons further classify cleft palates by how they affect the primary and secondary palates or both. These very specific classifications guide oral surgeons to the most effective and appropriate treatment plan. 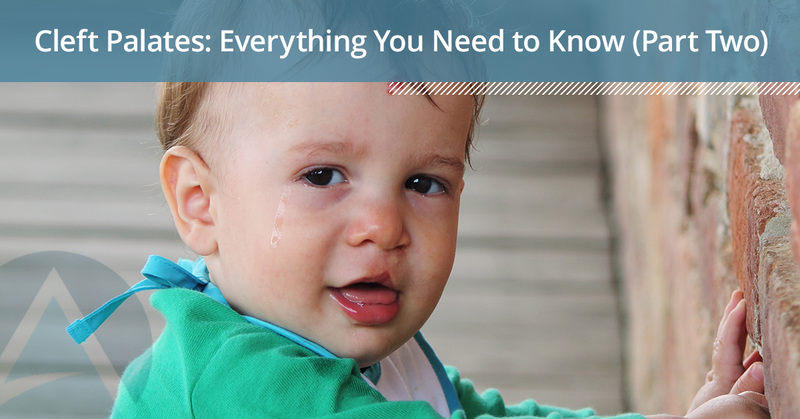 For clarity, it is easier to understand a cleft palate as either complete or incomplete. A complete cleft palate affects the primary and secondary plates — it stretches from the hard palate, into the soft palate and includes the uvula. This type of cleft palate can affect either one or both sides of the mouth. An incomplete cleft palate starts towards the back in the soft palate and uvula and extends forward and may or may not reach the incisive foramen. Many times parents are very surprised that their child is born with cleft palate because it typically doesn’t show up on diagnostics. 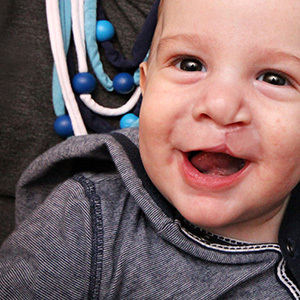 Cleft palate surgery can generally be addressed within six to 12 months of birth. If there is a large gap between the gums it will require an alveolar bone graft as the adult teeth begin to surface around eight to 12 years of age. A cleft palate surgery will not only improve speech and breathing, but it will make a major difference in how your baby can eat and drink. Palate surgery is repaired in layers and the goal is to reconstruct either the hard or soft palate (or both) and join them together. A cleft palate can make eating, drinking, and speaking increasingly more difficult, but there are solutions to repair and join these structural abnormalities. By working with our accomplished oral surgeons, you will get an amazing cleft palate transformation. Partner with us to find the cleft palate solution you’ve been searching for!